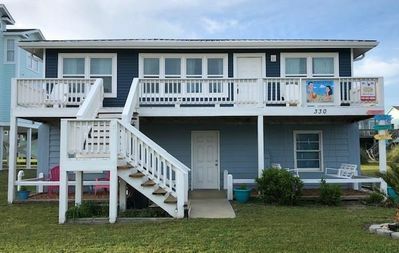 Recently updated, adorable and cozy beach getaway. 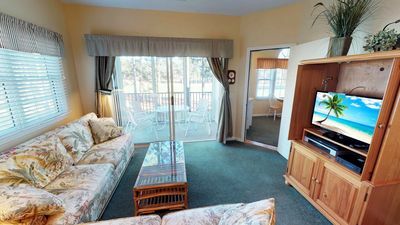 The condo is located on the West end of the island at Starboard St 250-5-B Starboard St and it is a 3 BR, 2 Bath with a full kitchen and dining space. Outdoor dining on covered patio as well. 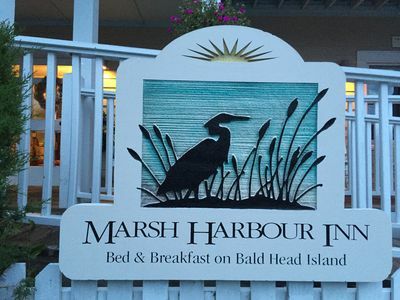 ***COMFY BEDS with new mattresses! 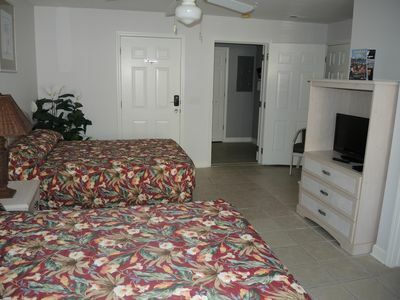 Master has new king mattress, Bedroom #2 has (2) new queen beds, and bedroom #3 has twin bunk beds with a twin trundle. Renters must supply their own sheets. 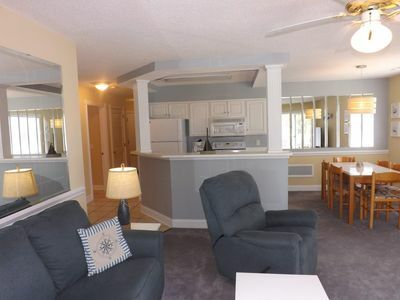 The condo and outdoor property is non smoking and no pets are allowed. 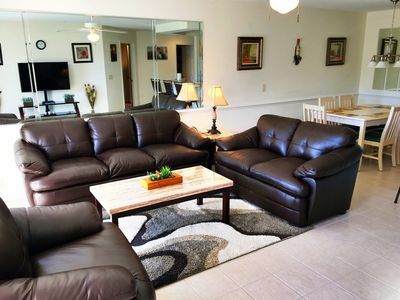 WIFI, three flat screen TVs, DVR, and DVD. 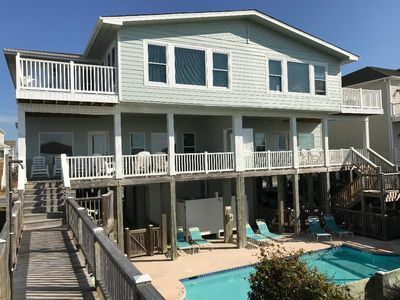 Weekly summer rentals only with this unit from Sunday to Sunday. 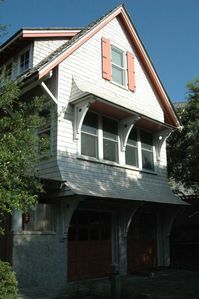 Weekly rental rate is $1150 plus tax (cleaning included) . 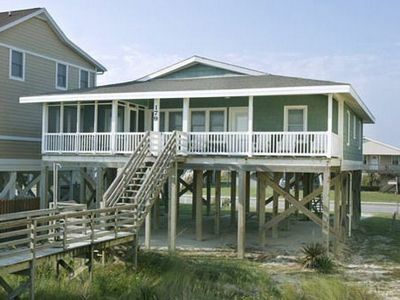 Please email owner for rental agreement. 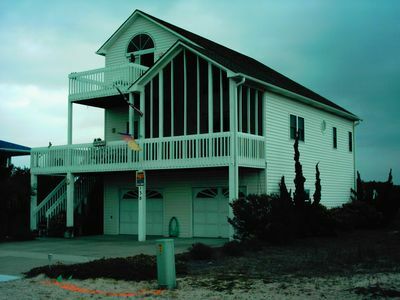 Nightly rental available in off season with a 3-night minimum. Any other questions please don't hesitate to inquire by email or text. 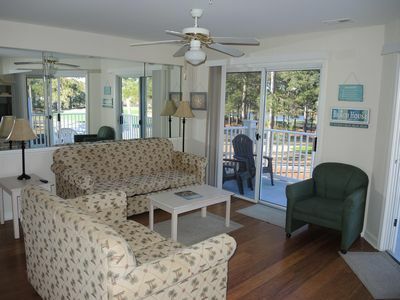 Amenities: 3 pools in condo complex, one is ocean front which is 2 blocks away (easy walk). 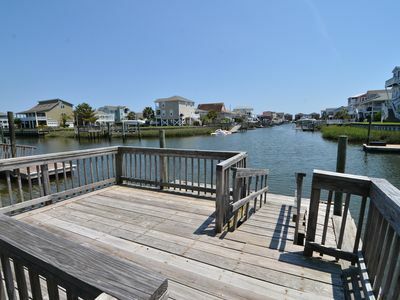 There is day docking for boating and fishing directly behind the condo (boat ramp is at the OIB Bridge). Tennis courts as well. 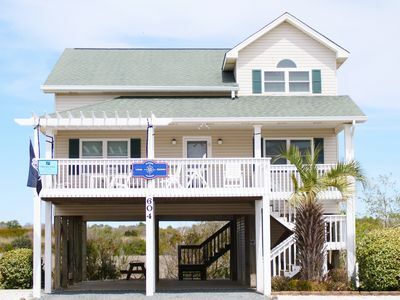 Ocean Isle is located 40 minutes north of North Myrtle Beach and south of Wilmington. 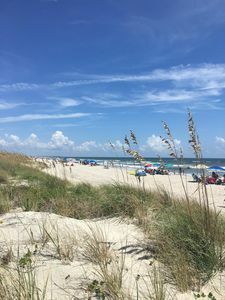 Wonderful family beach with nice restaurants on the island. 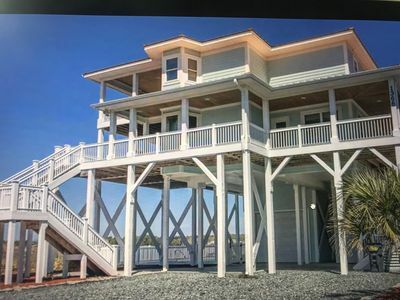 Nearby Calabash and Shallotte are 20 minutes away. 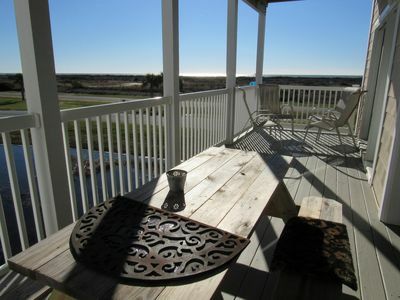 Lovely canal house in Holden Beach, NC with beautiful views of waterway! 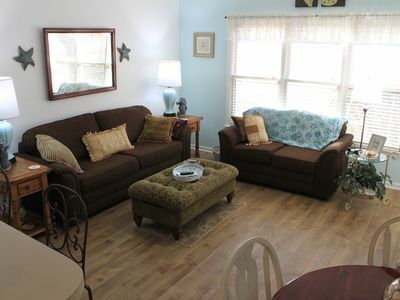 Light and airy with updated colors, new furnishings and in a great community! 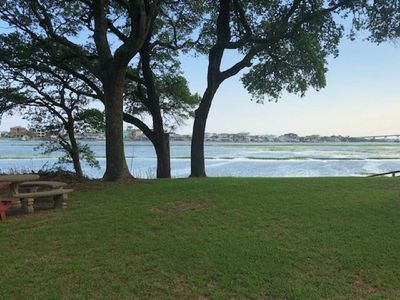 NEW TO VRBO--Beautifully UPDATED-Lagoon views! 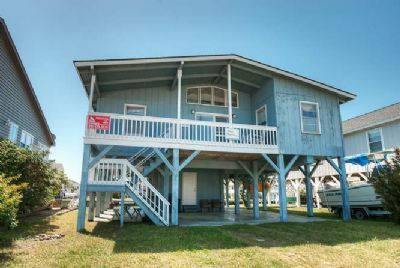 "Latitude Adjustment" is a Charming 4 bedroom 2 bath Beach Home with Gorgeous views of the Atlantic Ocean, Marshlands and Intracoastal Waterway! 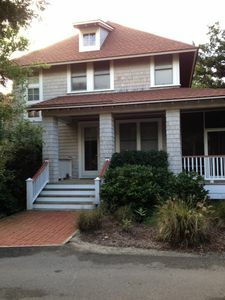 Classic Beach Home Newly Remodeled! 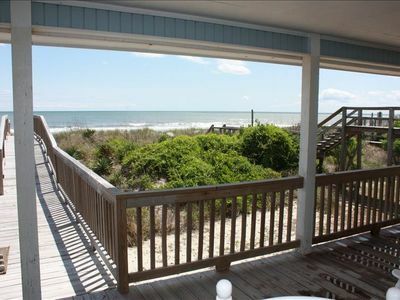 Oceanfront - Boardwalk - Covered Oceanside Porch!